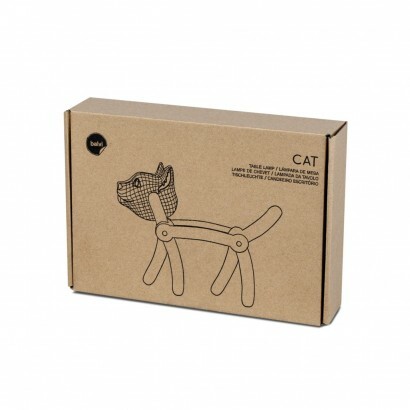 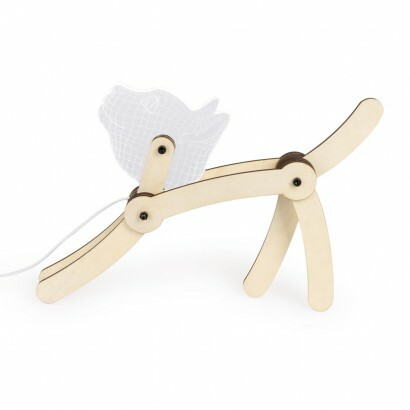 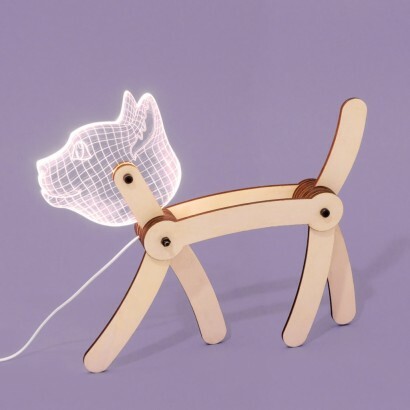 A playful lamp with a modern feel, the acrylic head of this cat lamp is supported by an articulated wooden stick man styled body that can be manipulated in various felines poses. 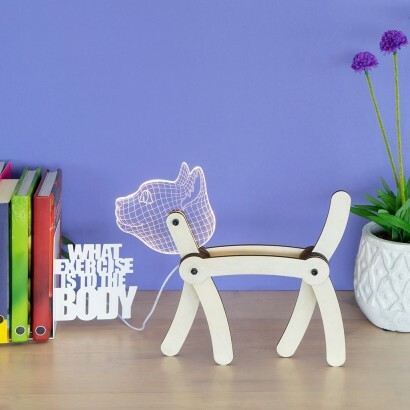 A must for cat lovers, the neck of the cat lamp contains bright white LEDs that shine through the acrylic head illuminating the cat with a stylish clean white glow. 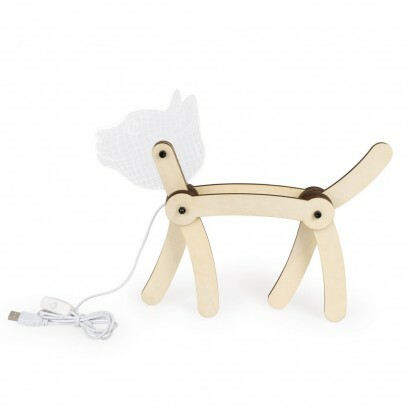 USB powered, this unique lamp can be plugged into USB ports around your home or used with a mains adaptor (not included) for unusual lighting and a fun loving vibe.